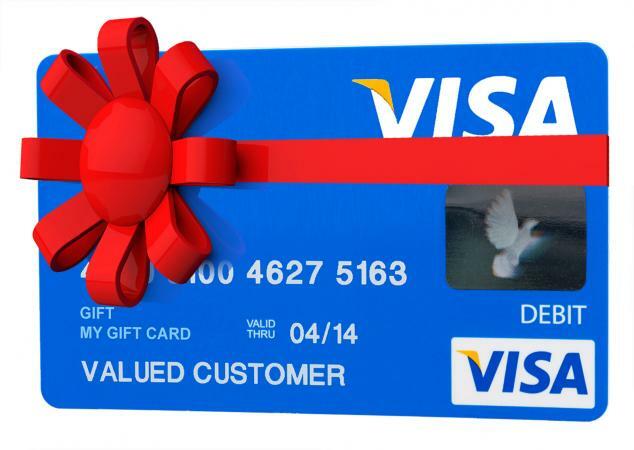 Visa gift cards are an ideal gift for any recipient, regardless of the occasion, because they can be used hassle-free by customers, employees, friends or relatives at participating retailers and online stores. Look for Visa gift cards that do not feature activation fees so the recipient can apply the full value of the card to their purchases. While most Visa gift cards do have an activation fee, select financial institutions offer these products to their customers without charging an activation fee. Navy Federal Credit Union offers Visa gift cards to their members. They are available in increments ranging from $15 to $500, and the funds never expire. In the event your card is lost or stolen, you can request a replacement card if funds remain on the original card. Gift cards can be purchased at any branch or online. A check card or credit card must be presented at checkout to confirm membership. If you purchase the card online, you must use a Navy Federal debit or credit card at checkout. The TD Bank Visa Gift Card is offered to account holders and can be used anywhere Visa cards are accepted. This non-reloadable gift card is available in amounts ranging from $25 to $750 and comes with a PIN for security purposes. Although no activation fee applies, the card may be subject to an inactivity fee if no transactions are made for 12 consecutive months. To purchase a TD Bank Visa Gift Card, visit a branch or call 888-751-9000. The Bank of Ozarks Visa Gift Card is available to account holders and can be used online and anywhere Visa cards are accepted. These non-reloadable gift cards can be purchased in amounts ranging from $10 to $1,000 and funds never expire. A replacement fee of $5 applies if your card is lost or stolen. Furthermore, you will be assessed a monthly fee of $2.95 if the card is dormant for 12 consecutive months. To purchase a Bank of the Ozarks Visa Gift Card, visit a branch. Republic Bank offers fee-free Visa gift cards to their customers. These non-reloadable gift cards can be used anywhere Visa is accepted. They are available in amounts ranging from $25 to $250. To purchase a Republic Bank Visa Gift Card, visit a location near you. Check with your local bank or credit union to find out if Visa gift cards without activation fees are available for you to purchase. Many financial institutions offer these products to existing customers, and if you can purchase locally, you may be able to avoid a shipping fee. Although Visa gift cards with no activation fees enable recipients to access the listed value from inception, other fees and conditions may apply. Review the terms and conditions closely to make sure you fully understand any other costs or restrictions associated with the card before making a purchase decision.